Alex Maksiov was born in 1979. In 1991 he began to draw more seriously at the art studio and after he went to study art at the Odessa Art college, Ukraine with a specialty in painting. In 2001 he continued his studies at the National Academy of Art and Architecture in Kiev, Ukraine and received his Master’s degree in Artwork Restoration of canvas oil painting in 2007. In the Academy, Alex learned about the subject of perspective and draftsmanship. And in 2010 started to make 3D painting. He is now a prominent 3d street painter and is working on projects internationally. Was involved in making two Guinness Records (The longest anamorphic painting, Bangkok 2013) and The Biggest 3d Street Painting in the World, Venice USA, 2014. The biggest 3d street painting in Ukraine 457 sqm (Ukrainian book of records). 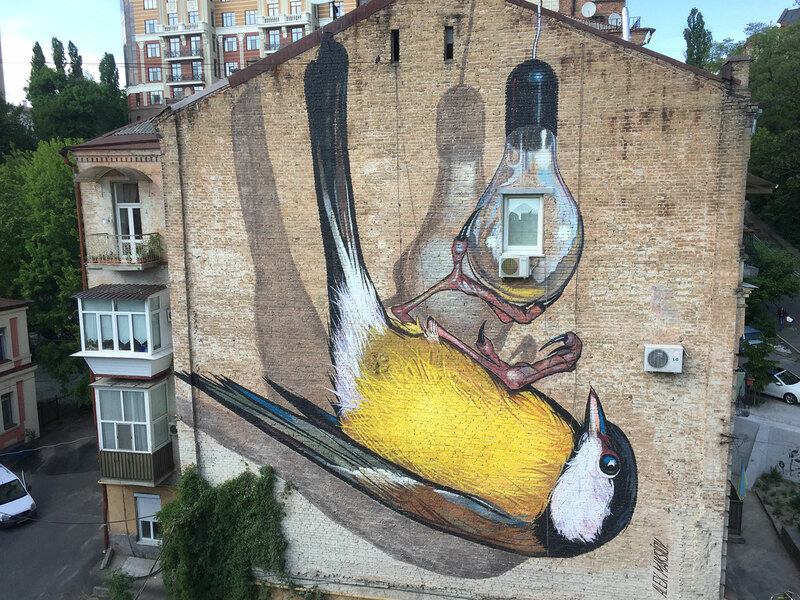 Alex also works like muralist, the biggest mural (16th floors) was done in Kiev 2015.